Shurugwi environmental management authority officer Severino Kangara. SHURUGWI – Tapiwanashe Ndigo (11), a Grade 5 pupil at Ironsides Primary School in Shurugwi who went missing on October 6, 2018 was found dead last Wednesday at Blue Waters Pool, a disused mine shaft allegedly left open by ZIMASCO. Blue Waters is one of the shafts that ZIMASCO allegedly left open after mining chrome in the golf course. Sources said that the shafts are not protected. Shurugwi district schools inspector Jameson Machimbira confirmed the death of Ndigo and encouraged parents to be more alert on the whereabouts of their children since Shurugwi has many dangerous unclosed shafts. 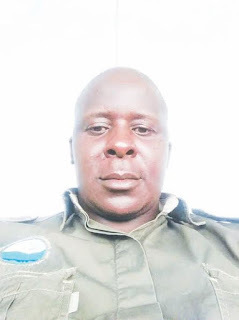 Shurugwi environmental management authority officer Severino Kangara confirmed that the dangerous pits were left behind after ZIMASCO operations. “I confirm that those pits were left by ZIMASCO. We expect mines to close shafts and any openings after the life span of an operation. However, some miners continue to claim that they are still mining. We also expect miners to fence off such areas and erect warning signs to avoid roaming children from drowning,” said Kangara.